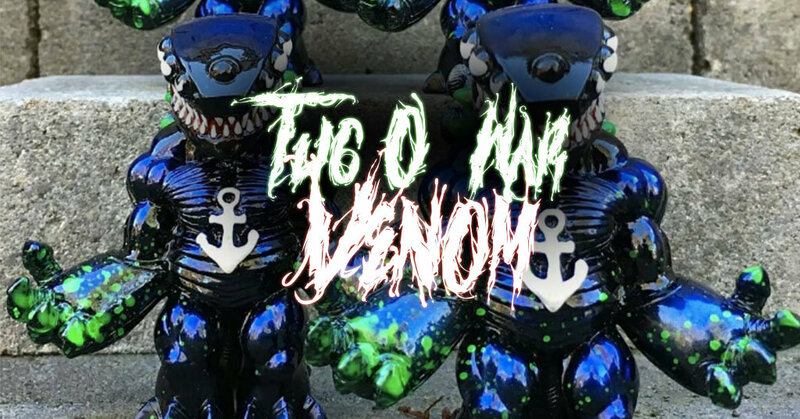 Designed and sculpted in clay by hand by Zectron with classic vinyl production handled by Unbox, the Tug O’ War is back for an exclusive ‘Venom’ run painted by the one and only Third.dye.open. Each one measures 3″ tall. Paint job inspired by the classic Marvel’s villain. Due to the limited amount available sales will go down as lottery at The Last Zectron Instagram HERE. On the next Wednesday a picture will be up and anyone who wants to enter can do so by leaving a reply. The price will be $75 plus shipping. The last Zectron at Instagram.